Today, most malware doesn’t come from traditional viruses but from potentially unwanted programs, which are third-party programs foisted on you during free downloads. They’re often shady utilities like PC cleaners or search hijackers. If you aren’t careful, you’ll end up downloading an unrelated junk program while installing a legitimate free tool. 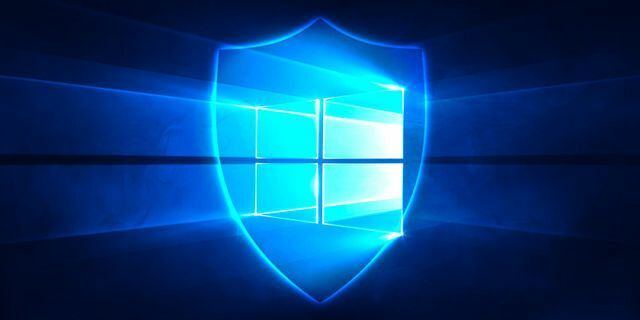 While Windows Defender has been a solid antivirus without nags Top Free Antivirus Apps Without Nag Screens and Bloatware Top Free Antivirus Apps Without Nag Screens and Bloatware Nagging antivirus apps are a huge pain. You don't have to put up with them, even for free. Here are the best antivirus programs that don't come with popups or bundled junk. Read More , it now has a hidden feature that will block this kind of junk. Here’s how to use it. Open a PowerShell window by typing PowerShell into the Start Menu. Right-click the entry and choose Run as administrator, then confirm the prompt. That’s all you have to do to enable automatic junk protection with Windows Defender. You can run this command again with a 0 replacing the 1 to turn it off anytime. Now, you’ll have an extra layer of protection from installing unwanted programs. Unlike Unchecky, which detects these checkboxes and automatically unchecks them for you, Windows Defender will step in and quarantine this junk if you accidentally install it. Windows Defender classifies it as a “potentially unwanted software.” You can view the history of what it’s blocked by visiting Settings > Update & Security > Windows Security > Virus & threat protection. Click Threat history and you’ll see a list under Quarantined threats. Use the See full history link if there are too many entries to list. This won’t block every piece of crapware, so you should still be diligent about avoiding those checkboxes and be careful where you download from. Keep an eye out for “special offers” when installing free software, and never click Next blindly. It’s a great part of Windows Defender, and it will hopefully improve in the future. Explore more about: Anti-Malware, Malware, Windows Defender. Set-MpPreference : Operation failed with the following error: 0x800106ba. Operation: Set-MpPreference.